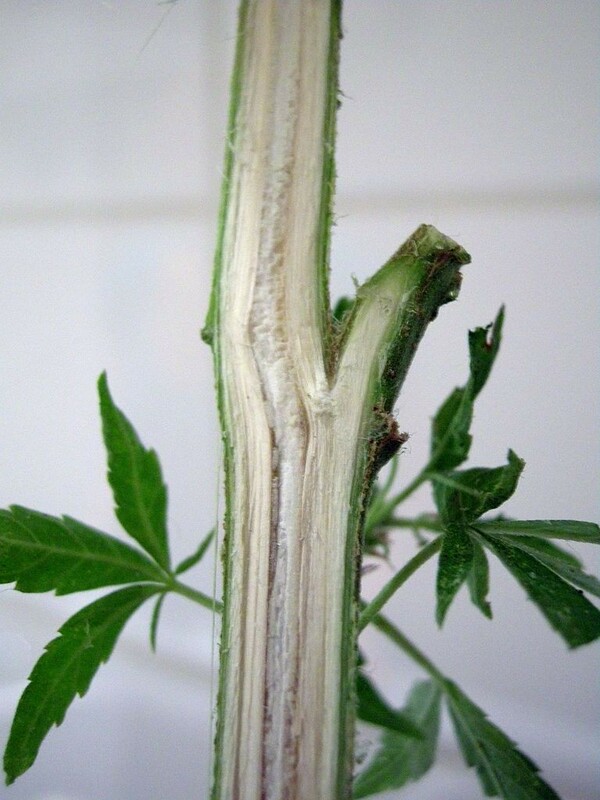 ...but not the kind you're thinking of. 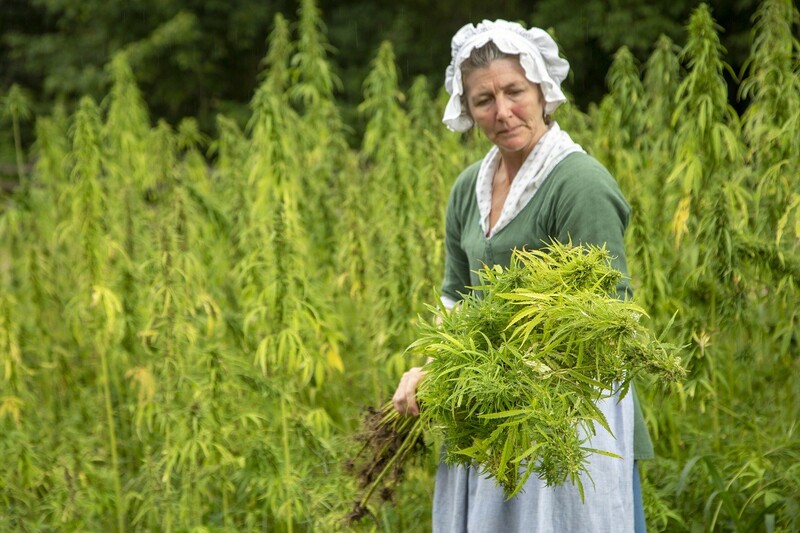 At one point in the 1760’s Washington considered whether hemp would be a more lucrative cash crop than tobacco but determined wheat was a better alternative. 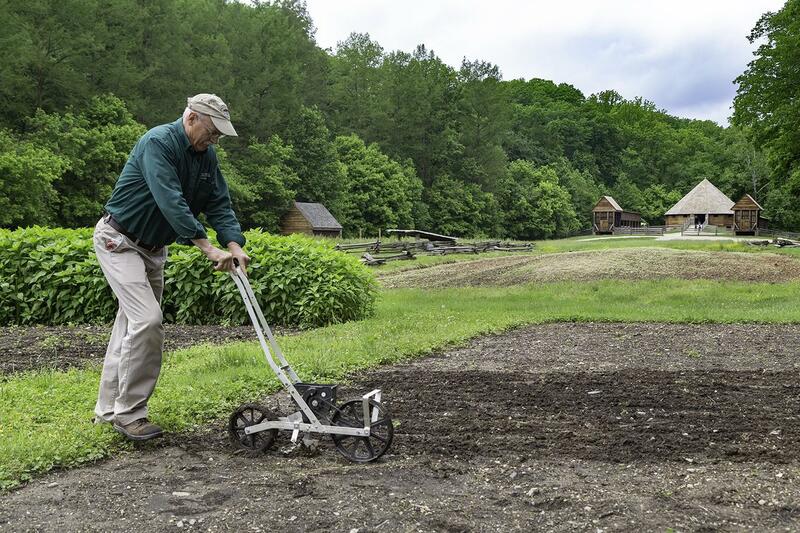 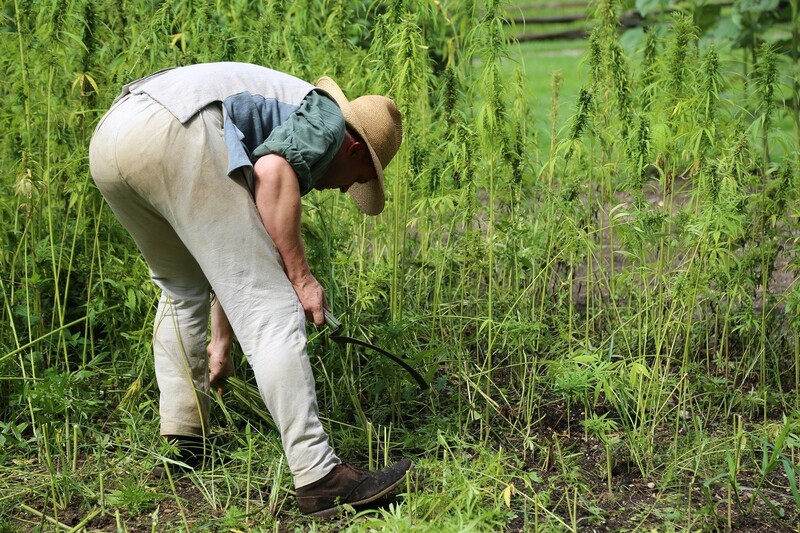 Dean Norton, Director of Horticulture at Mount Vernon, planting industrial hemp. 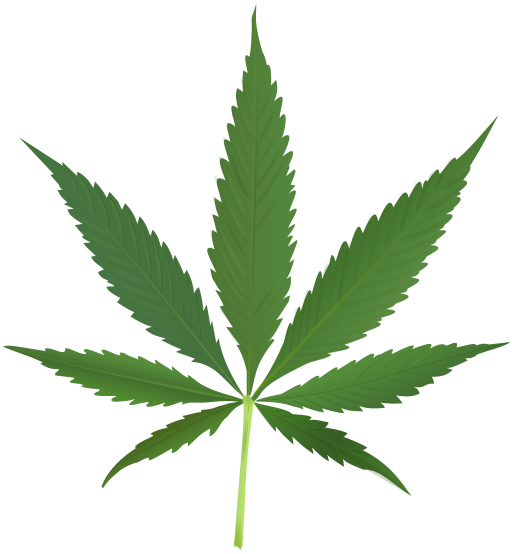 MVLA. 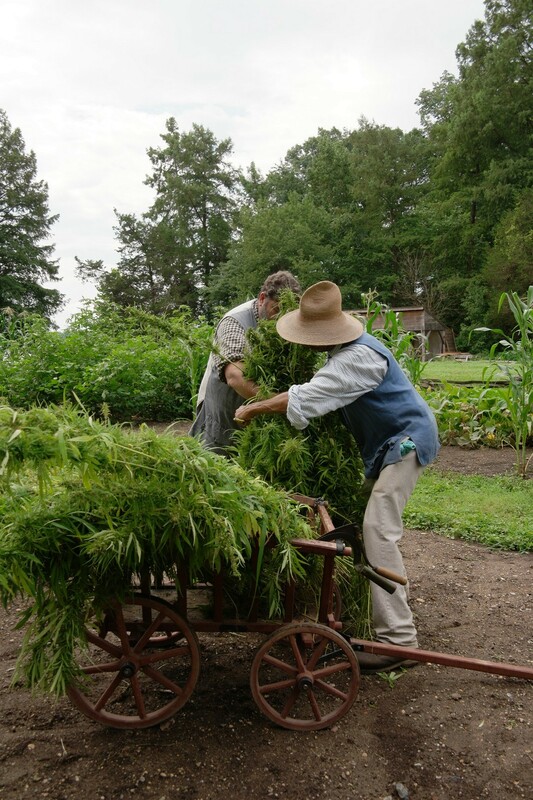 Harvesting of the industrial hemp began on August 22 and will be used in fiber-making demonstrations onsite once it has been dried. 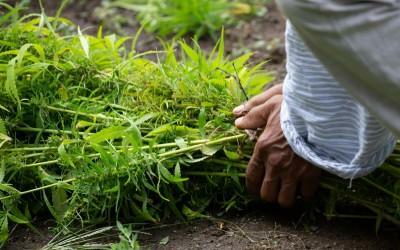 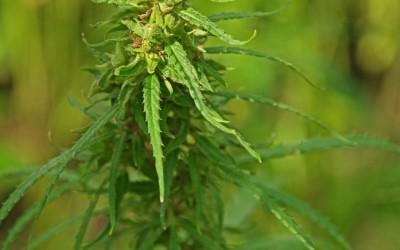 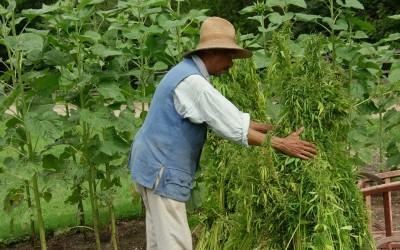 Hemp, Cannabis sativa, is a plant originally from central Asia. 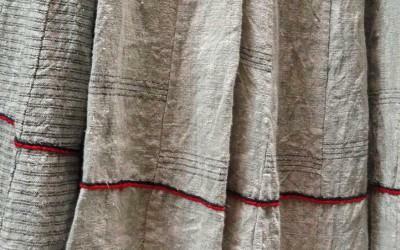 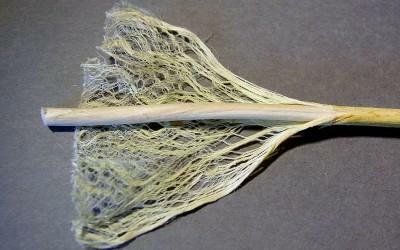 It was cultivated with, and sometimes in place of flax because the stem fibers are similar. 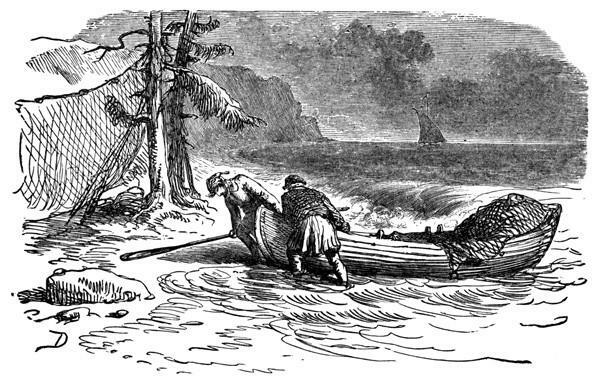 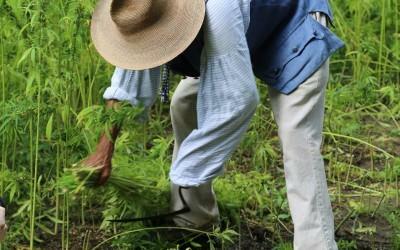 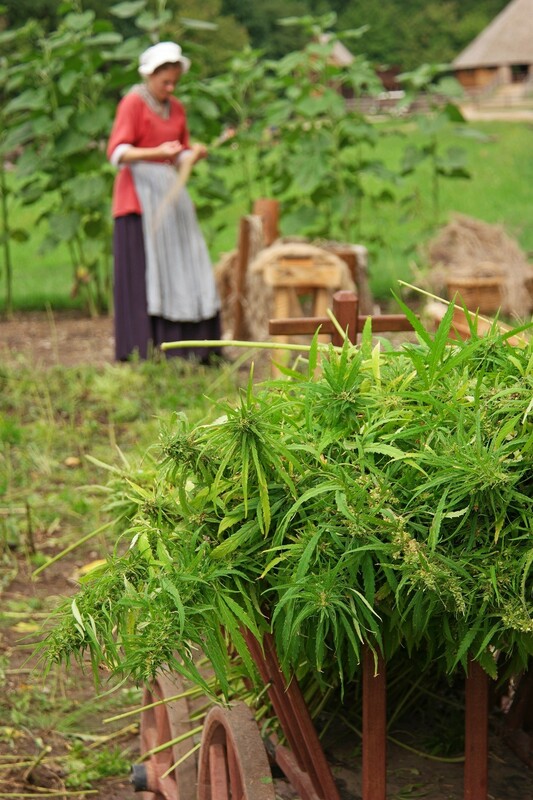 By the seventeenth century, Russia, Latvia, and other countries around the Baltic Sea were the major producers of hemp. 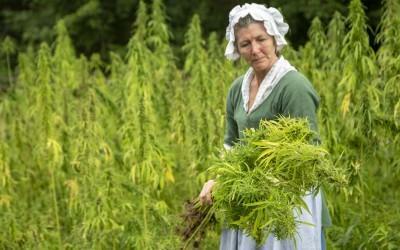 It was from these areas Britain obtained its supply. 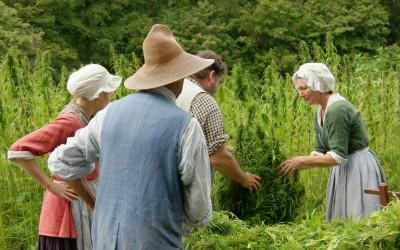 However, during periods of military hostilities, the English had trouble acquiring enough hemp. 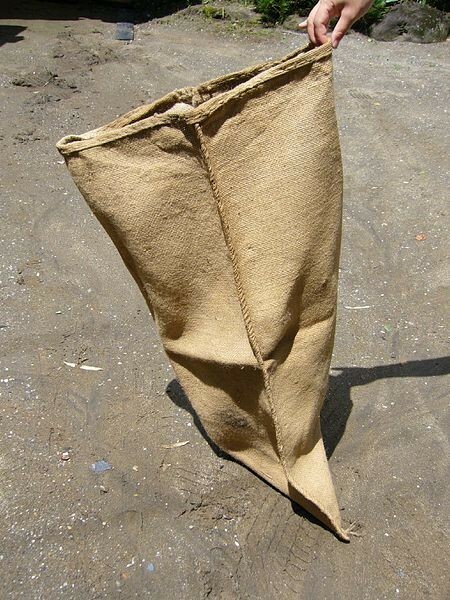 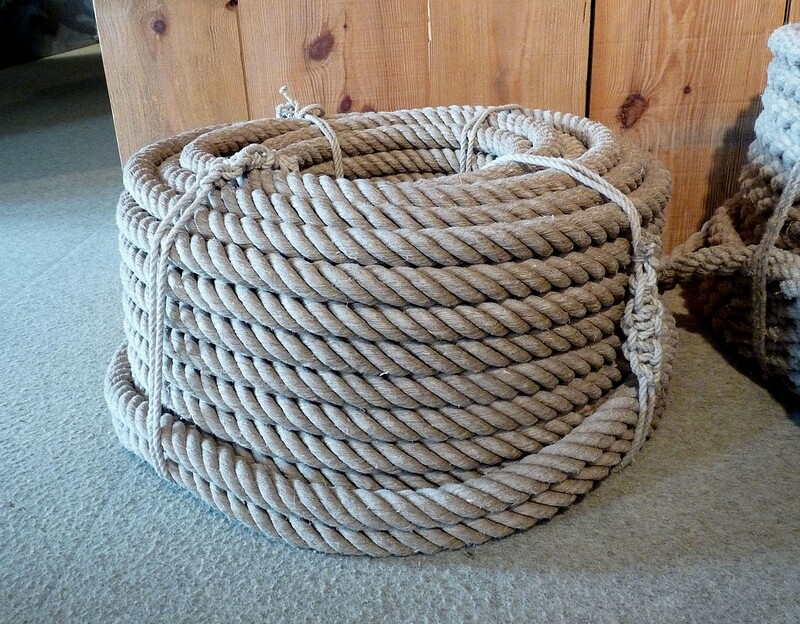 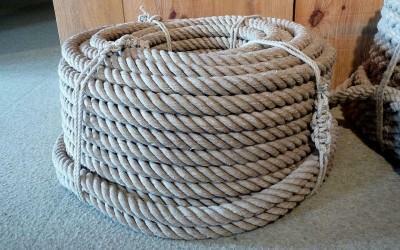 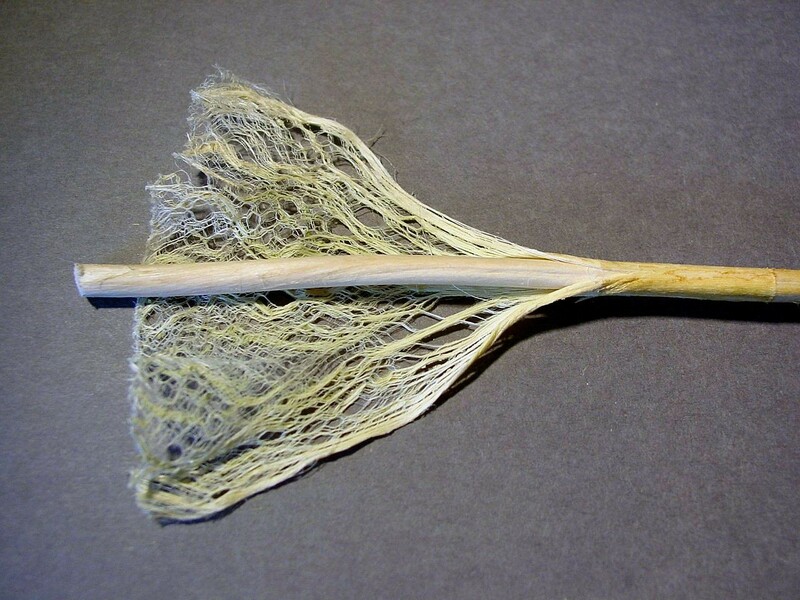 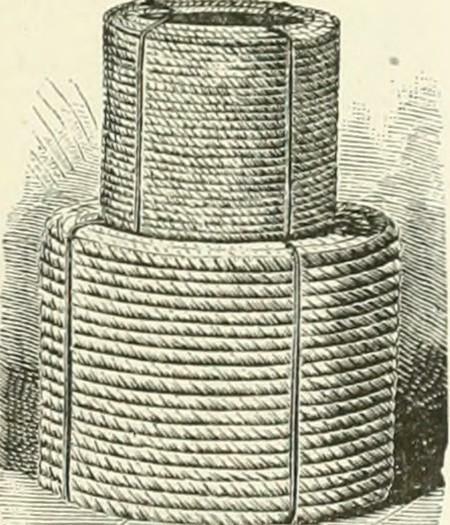 Rope made from hemp was vital to navies worldwide. 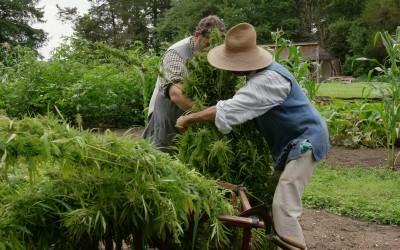 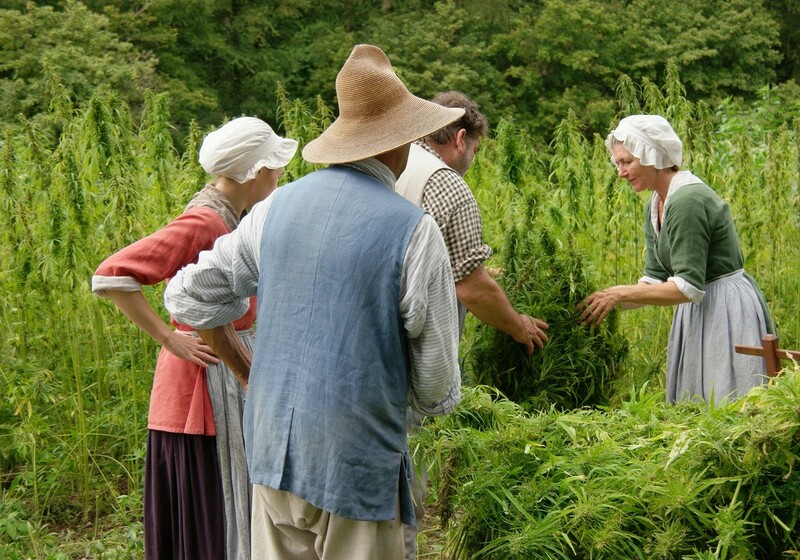 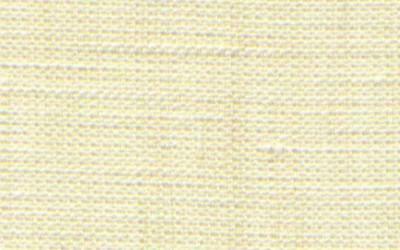 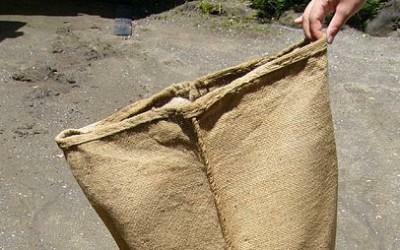 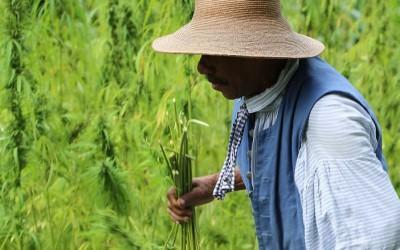 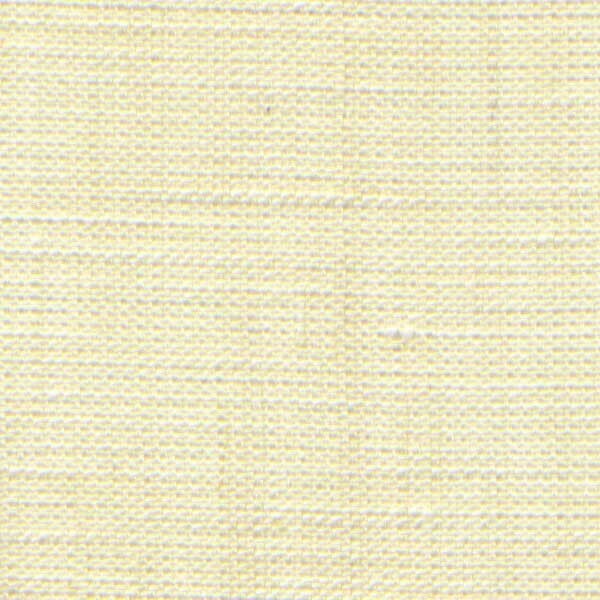 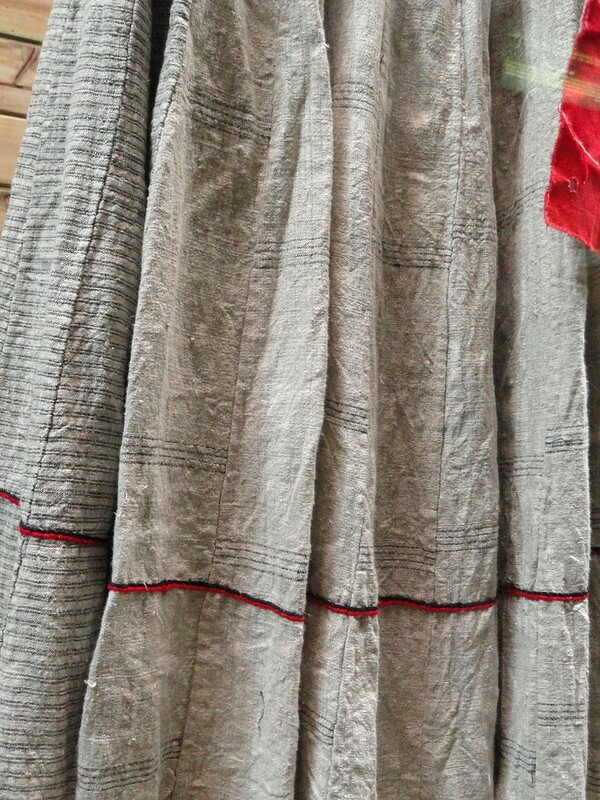 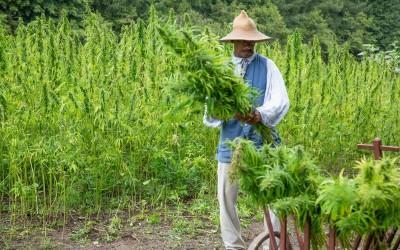 Hemp was used to make a coarse linen cloth, sacking, and other rough materials. 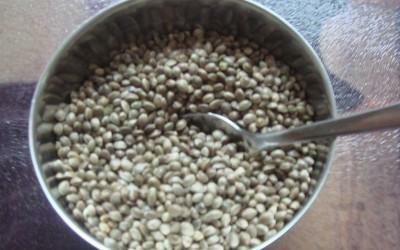 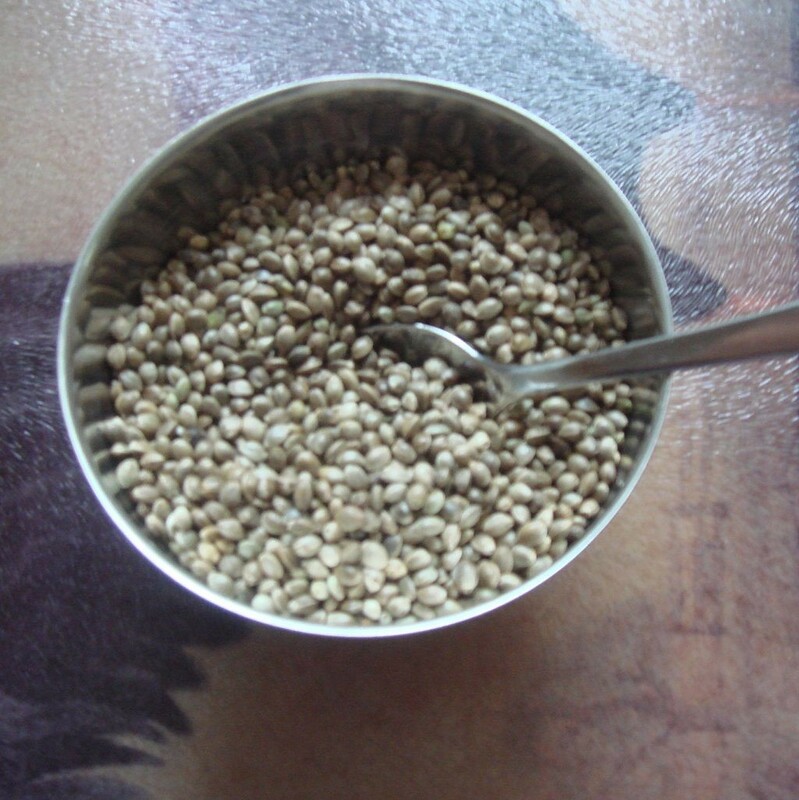 The oil extra of hemp seeds, like those of flax, was used in paints, varnishes, and soaps. 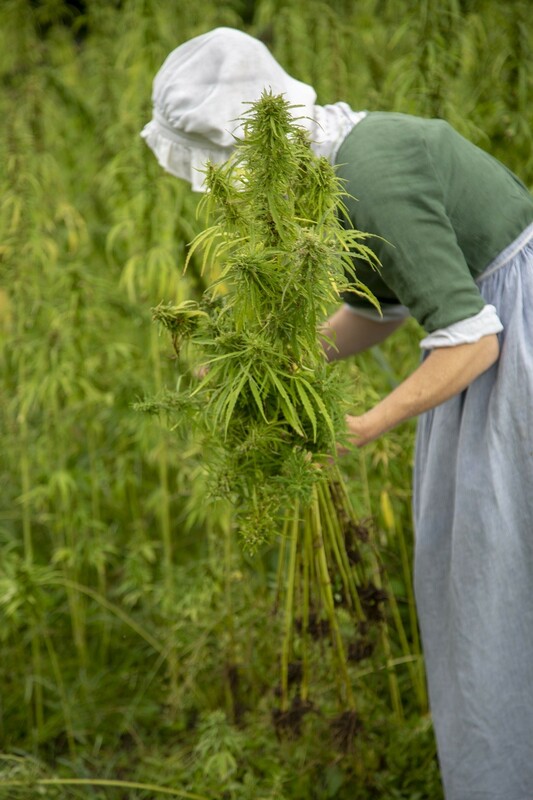 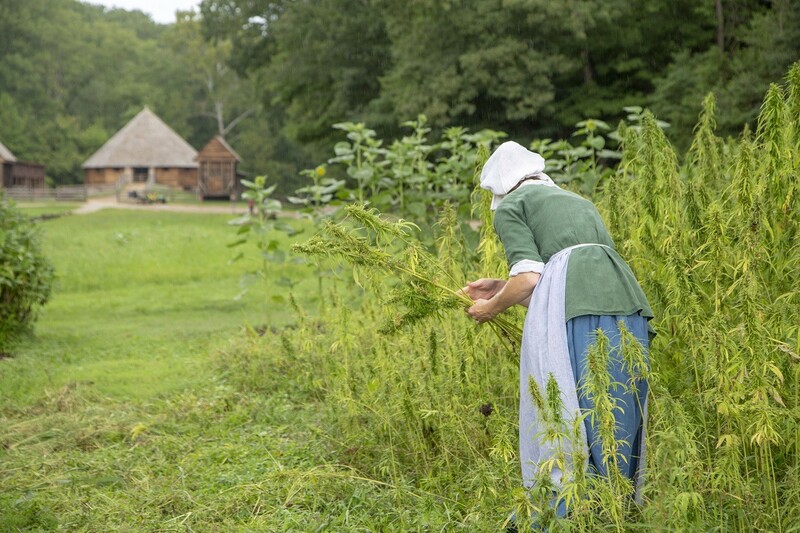 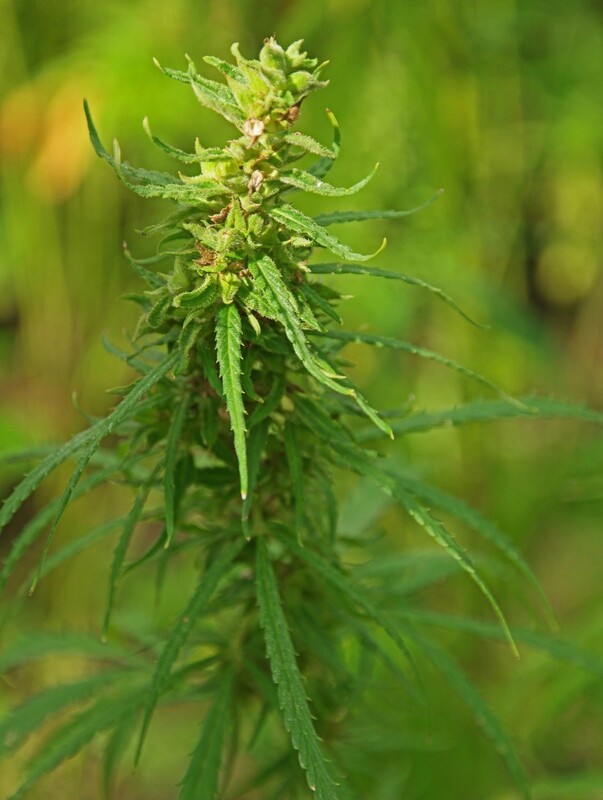 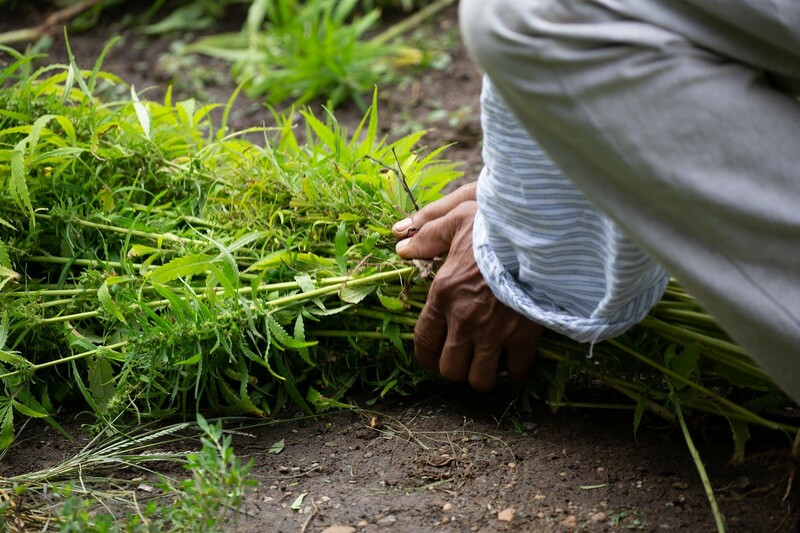 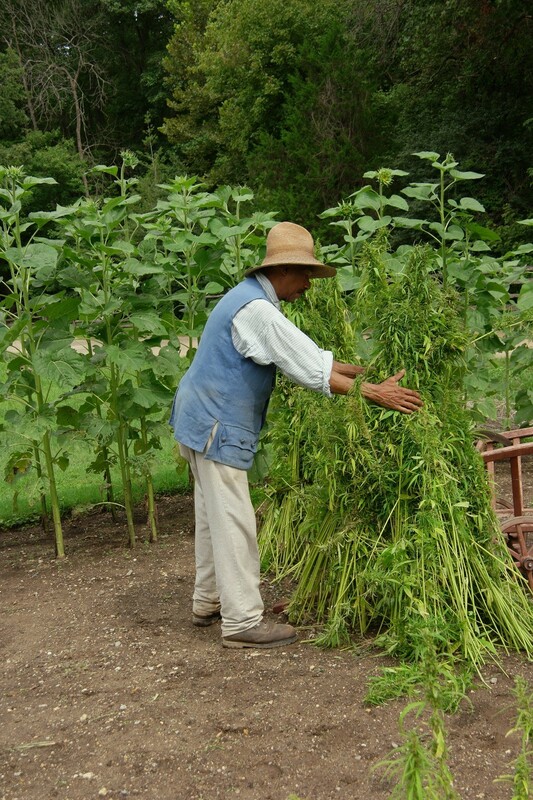 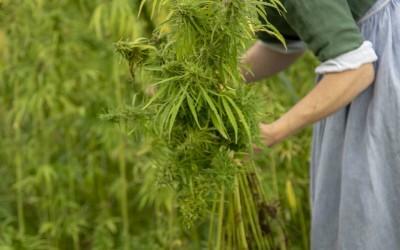 The type of industrial hemp grown at Mount Vernon is not the same cultivar of Cannabis used for recreational or medicinal purposes. 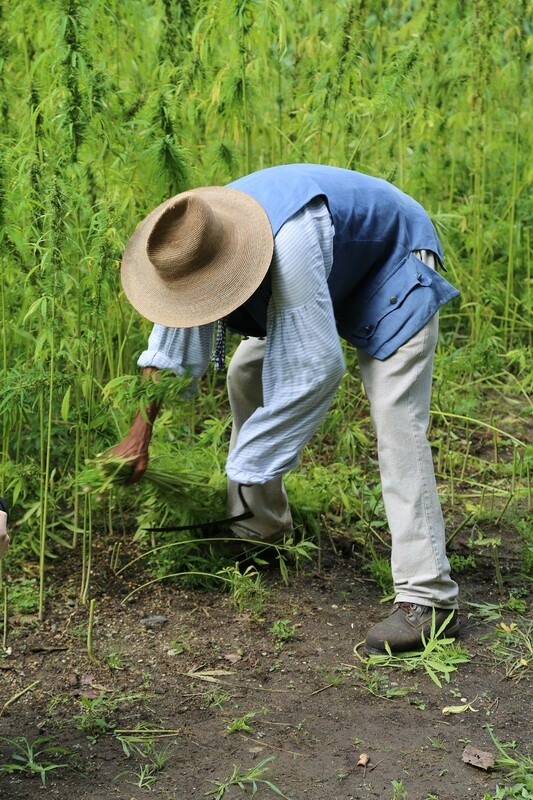 Industrial hemp contains less than 0.03% tetrahydrocannabinol (THC) and therefore has no physical or psychological effects. 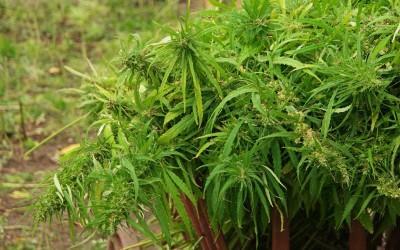 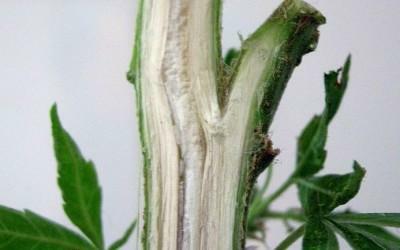 Cannabis grown for recreational or medicinal purposes can contain 6% to 20% THC. 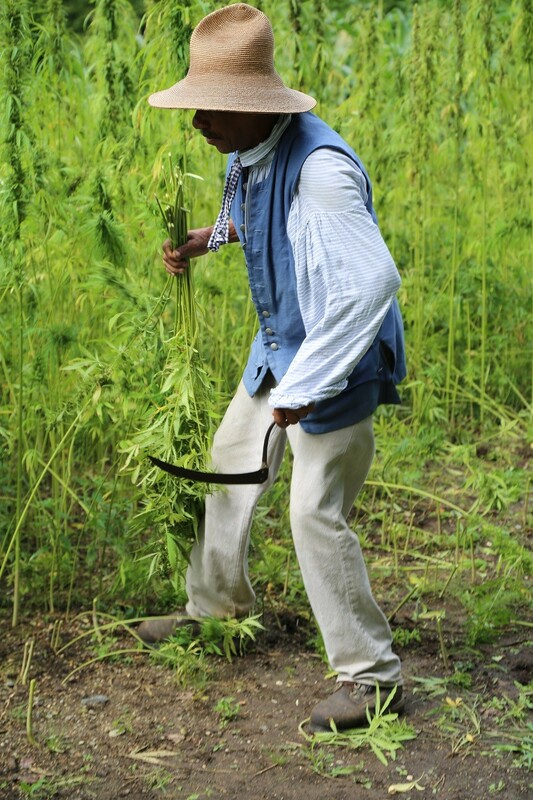 There is no truth to the statement that George Washington grew marijuana. 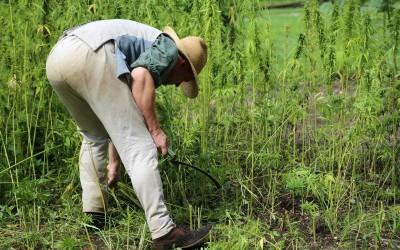 His hemp crop was strictly the industrial strain needed for the production of rope, thread, canvas, and other industrial applications. 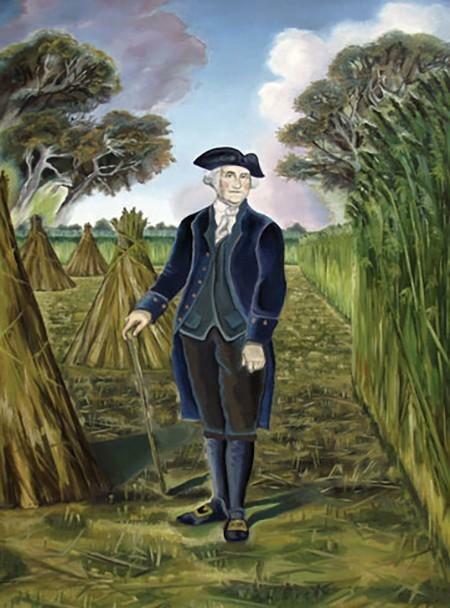 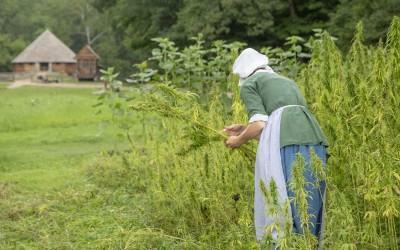 References in George Washington's Papers to the growing and cultivation of hemp.